Studies suggest that half of the US population never go to the dentist, most people go only to fix a major problem, and 80% of the adult population has periodontal disease (gum disease). Now that we know gum disease places you at risk for heart disease, diabetes and many other systemic illnesses, it is safe to say that if we can find a way to get people to come to the dentist, we can find a way to make them healthier overall. Why do people avoid coming to the dentist? The #1 reason people won’t go is due to dental anxiety and fear of experiencing pain. 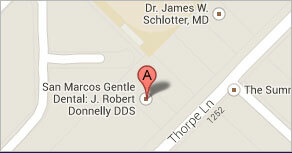 Luckily, Dr. Donnelly and his team have learned the tricks to performing gentle dentistry without causing pain. Most notably, everyday patients with dental anxiety are surprised that they could not feel the shot. Frequently, after giving a shot (delivering anesthesia), a patient starts to get really numb, and they look at the assistant and ask, “How did they get me numb without giving me a shot?” Dr. Donnelly has spent years perfecting his techniques and investing in the latest technology in an effort to be able to provide gentle dentistry. Our entire staff understands dental anxiety and fear and is trained to provide a safe, compassionate, and soothing environment for patients to receive their dental care. Some patients have had bad experiences in years past, and those memories make it hard to come back to the dentist. 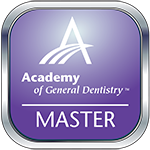 For these patients we offer several options for reducing dental anxiety and fears. We offer a comforting environment including headphones with a variety of music options to choose from, large windows overlooking a bird haven and a staff that cater to our patients needs. Dr. Donnelly provides nitrous oxide (laughing gas), sedation dentistry and the latest dental technologies to ensure he has taken the pain out of dentistry. If you or someone you know hates going to the dentist, please contact us at (512)396-5225 so we can help you take the needed steps to get a healthy mouth and smile….and get rid of dental anxiety once and for all.